Yoshi made dinner!, originally uploaded by !!! :: jozjozjoz :: !!!. 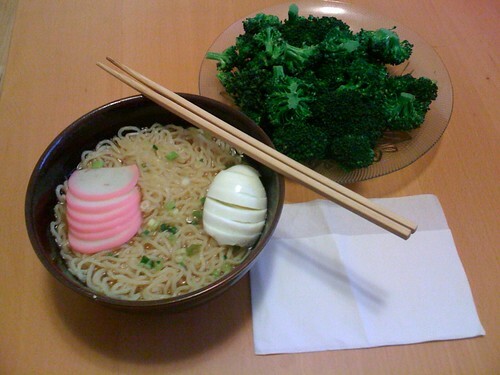 Miso ramen with kamaboko and hard-boiled egg; steamed broccoli. Uploaded by !!! :: jozjozjoz :: !!! on 31 Mar 09, 6.08PM PDT. The jozjozjoz.com archives for Tuesday, March 31st, 2009.